It’s fair to say that the Windows Phone hasn’t received a lot of love in the past few years, but from a business standpoint there’s a feature rolling out on 2nd August that should prove much more interesting. 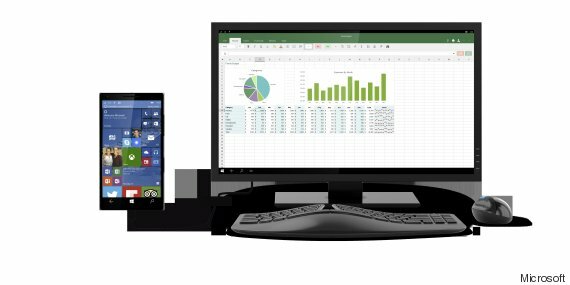 Microsoft call it Continuum. The concept hinges on the fact a lot of business owners now have their email on their phone, and in many cases have access to their files via secure cloud storage as well. Couple that with the use of Microsoft Word, Excel or Powerpoint, and you have most of the tools that businesses use on their desktop already with you on your mobile phone. On 2nd August the Windows 10 Anniversary update bring a new app to all Windows 10 PC’s called Connect. Simply put, it will create a window into which your phone apps can project, giving you full screen access to your Excel spreadsheets, Word documents, emails and the like, but with all the data being stored and managed by your phone. This means you can use anybody’s PC to carry out your work, then once finished just disconnect your phone and walk away … nothing is left on the PC you have been using. Have a look at the basic video we’ve created to show this off in more detail.